The economic crisis at the turn of the 1920s and 1930s threatened railways in Europe. On this continent, they mostly belonged to states. Politicians could not subsidize the declining enterprises, because they were also fighting against the budget deficit. However, one solution was available. Namely, to make life difficult for carriers and in this way fix the budget. The authorities have imposed speed and tonnage limits on trucks and taxed them. 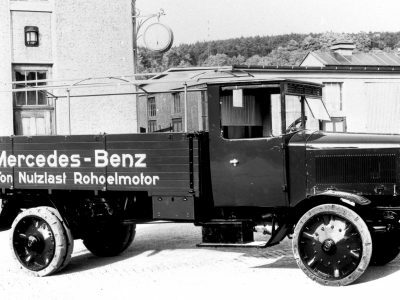 One of the ways to limit car competition was to limit the masses, length and speed of trucks. 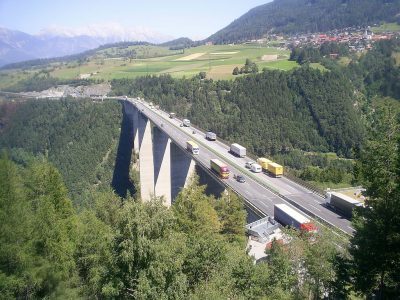 The authorities in Germany limited the permissible total weight of a 2-axle truck to 10.8 tonnes (with the exception of special vehicles such as tankers and dump trucks, which could have reached 11.8 tonnes). 3-axle cars could weigh up to 16 tonnes. The axle load could not exceed 7.5 tonnes and 8 tonnes in special vehicles. The total weight of the set could reach 16 tonnes, with the trailer axle load not exceeding 5.5 tonnes. 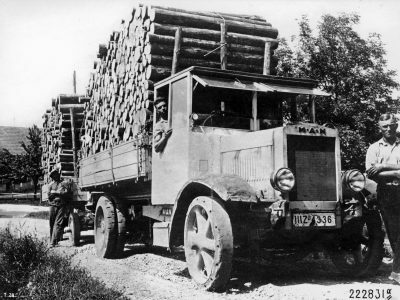 Only trucks with pneumatic tyres were allowed to move. 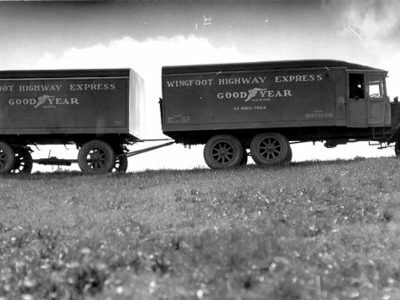 The width of trucks with a gross vehicle weight of up to 9.5 tonnes could have reached 2.25 m, for heavier ones the limit was 2.35 m.
As a result, the railways revived, but at the expense of not only road transport but the entire economy, which had to deal with more expensive transport. In France, on January 1, 1933, the law limiting the permissible weight of the road set to 16 tonnes came into force. The heaviest semi-trailers used at that time took 10-12 tonnes and their GVW was up to 18-20 tonnes. The fiscal measures have not exhausted the list of obstructions. The governments of France and Belgium reached for a method tried out in nineteenth-century England and drastically limited the speed of movement of trucks. The French government introduced a speed limit of 45 km/h for a truck with a GVW of more than 3.5 tonnes, 35 km/h if it was pulling a trailer and 25 km/h if it were pulling a trailer without brakes. Also in Belgium, the development of car carriers worried the government. 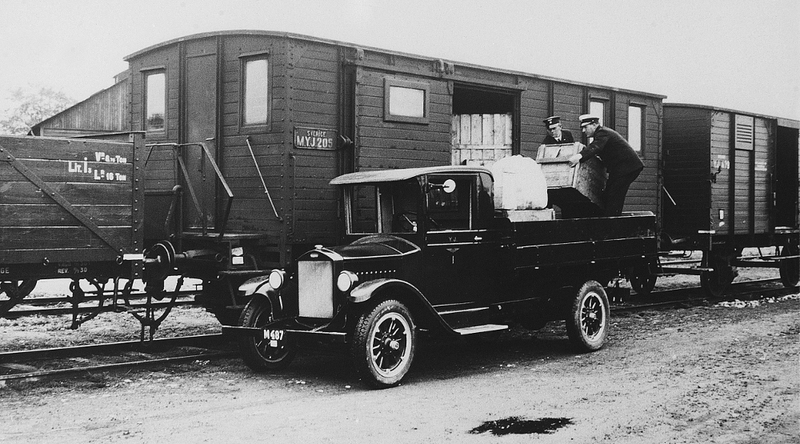 Railway transport decreased between 1929 and 1932 by half to 4.5 million tkm, while in 1931 alone, 6,000 new trucks appeared on the market, and their total number reached 12 thousand. Therefore, since 1933 in Belgium, cars with GVW from 3.5 to 5 tonnes had a speed limited to 30 km/h. For trucks with GVW from 5 to 8 tonnes, the speed could not exceed 25 km/h, and the heaviest, from 8 to 11 tonnes, could not drive faster than 15 km/h. These limits were even stricter than the British, introduced in 1930 by the Road Traffic Act. It limited the truck speed to 20 miles per hour (about 32 km/h). The least number of regulations was in the Netherlands, which did not impose limits on the dimensions of trucks, and the licenses were valid only for passenger carriers. It was similar in the Nordic countries. Tax horsepower, type of wheels and fuel… What else carriers had to pay for?